Anyone who has ever gazed up at the sky or stared out of the window knows something about birds. In this funny, eye-opening book, Simon Barnes paints a riveting picture of how birdwatching has framed his life and can help us all to a better understanding of our place on this planet. How to be a Bad Birdwatcher shows why birdwatching is not the preserve of twitchers, but one of the simplest, cheapest and most rewarding pastimes around. A witty, perceptive book, thoughtful, instructive and full of simple wisdom. 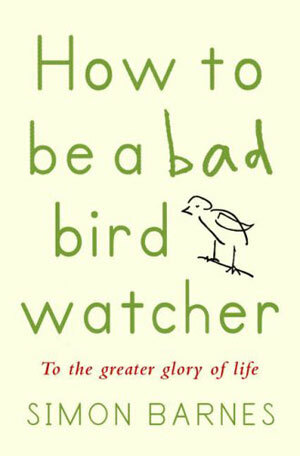 How to be a Bad Birdwatcher is a work of pure enthusiasm for the cause of birds and us. Unstuffily, democratically, it tries to help us derive good things near at hand, everywhere, and it succeeds. An amiable mix of memoir, the merits of binoculars, Charles Darwin, laughing gulls and how watching birds compares with his day job of watching England footballers.